With the January transfer window now upon us, it is pleasing to see Fulham being linked with the acquisition of some players. After spending in excess of £100 million in the summer transfer window, it’s good to hear that the owners are doing everything they can to retain our Premier League status by making funds available for Claudio Ranieri to use to fill the gaps in the side. Today, courtesy of the tabloid news source, the Sun, it is being reported that Ranieri has his eyes on bringing the Liverpool striker, Divock Origi, to Craven Cottage. 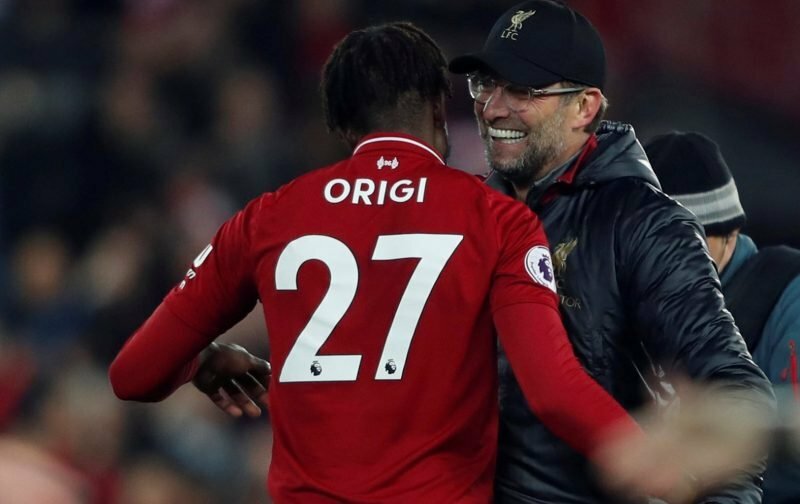 Origi, a 23-year-old Belgian international, has seen his appearances for the Anfield club severely restricted this season and our quoted source is of the opinion that if a club is prepared to meet their asking price the player will be allowed to leave. According to our referenced source, Fulham are looking at a £15 million outlay for the player, now whether that’ll be sufficiently large enough for the Anfield hierarchy to agree to a deal remains to be seen. Plus, it is also being reported that Fulham are not the only club interested in the player. This could be a classic piece of January transfer speculation where nobody is really sure where the player will end up. Let’s just sit back and wait, shall we! 100 mill thy spent thy will be relegated even if thy buy more players thy will drop points befor end of season. That been said. If thy want origi lfc shud try to do a deal in witch we giv them orrigi worth 15 to 18mil plus 42.5 mil with some add ons thy get 60 mil… his a lfc suporter so he jump at chance.